This "Trash Cube", designed by Nicolas Le Moigne, uses leftover roofing material to make up its shape. 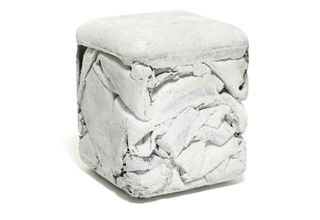 When workers throw scrap fiber cement away, they toss it into a cube-shaped mold to form the seat. Recycling is useful.